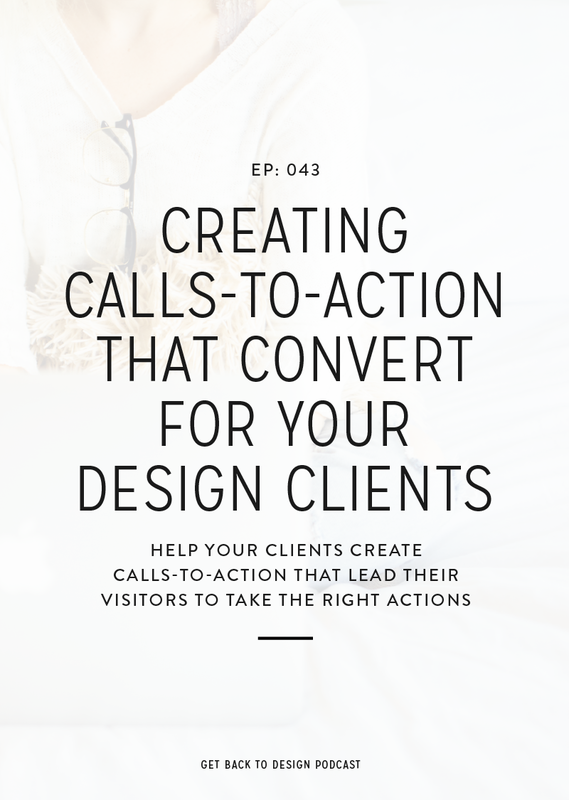 One thing we know all business owners, especially designers, struggle with at one point or another in their business is how to make sure they’re attracting the right clients. It’s something we all obviously want to be doing, but sometimes it’s a whole lot easier said than done. Kory here! I see and hear people say they get a lot of inquiries, but it’s for people who won’t pay their prices or it’s for projects that they really don’t want to do. In fact, we also often see people asking how to get more ideal clients or how to get their current potential clients to be willing to pay more. 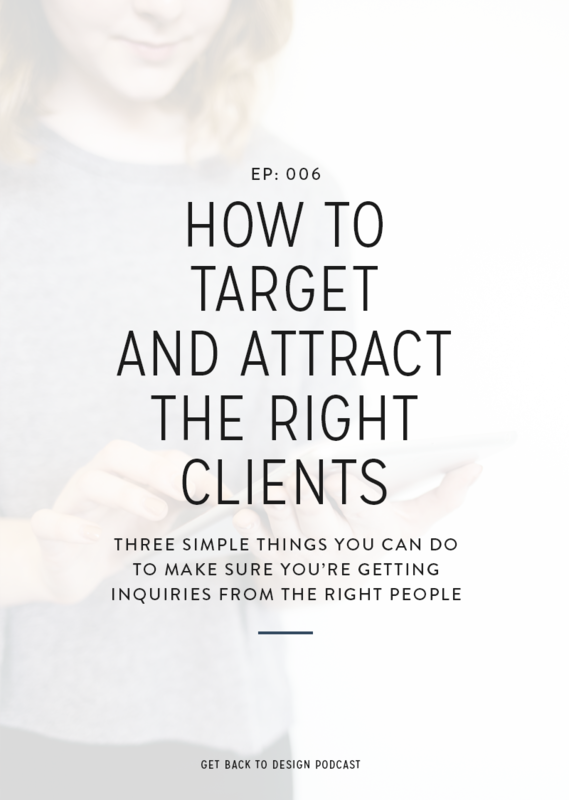 At the end of the day, it really all boils down to making sure that you’re not only targeting but actually attracting the right clients to your business. So, in today’s episode we’re sharing a few tips on how to make sure you’re doing exactly that. It may seem sort of counter productive to have a specific niche that you target with your design services, but it’s really important for your business that you have one. If you just focus on targeting anyone, you’re likely going to get more inquiries for projects, but those inquiries might be for projects that you just don’t want or don’t enjoy doing. If you’ve been doing this, don’t fret! 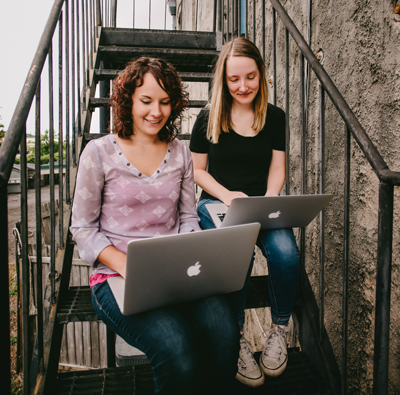 Krista and I were both there and doing the same thing when we just got started, and we think it’s beneficial for everyone to dip their toes in all sorts of projects before committing to one niche. 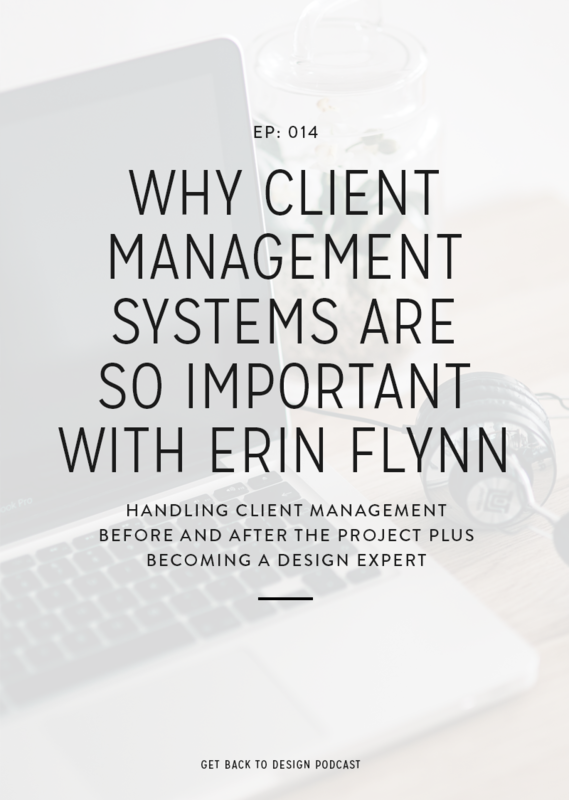 If you’ve been working with all sorts of clients on all sorts of projects, then you’ll want to take a look at what you’ve done recently that you’ve enjoyed the most. Chances are you’ll notice that the projects you’ve been enjoying are all similar projects, and this will give you a great idea of who you want your target market to be. For example, if you’ve done a lot of blog designs for fashion bloggers or branding for local restaurants then you’ll want to target fashion bloggers and local restaurants. Something important to remember here: when you’re making a decision on who you want to target with your design services, whoever you pick doesn’t have to be a forever decision. You can certainly change your target audience in the future if you want to. However, picking your target market now will help you get on the right path sooner rather than later. Obviously once you’ve nailed down who exactly you’re target market is, you want to make some updates to your website to reflect that. This doesn’t mean that you have to go in and create a totally new design for your site, but there are a few key places you want to pay attention to. It’s through the copy on your website where you’re getting that first impression across to people of who it is that you’re targeting. If you do not want to work with food bloggers or you don’t want to work with a certain kind of people, then the opening line on your website should not mention anything about those people, right? So be clear on your Home page so people visiting your site know right away who you want to work with. However, don’t forget to talk about who your ideal client is on your About page, and explain who your services are for on your Services page. A lot of times, especially new designers, we wind up putting all of our projects we’ve ever worked on in our portfolio no matter how old it is, no matter how much we hate it, no matter how much our design style has changed. When you’re just getting started, you sort of have to do this to just show off that you can design things. However, when potential clients look at your portfolio, they’ll see right away the type of work they’ll get from you. This is why it’s so important to frequently be auditing your portfolio. If you have projects in your portfolio that are really outdated because your style has changed or you didn’t like how they turned out as much, take those suckers off your website. There is no rule that you have to show every single project you’ve ever done. 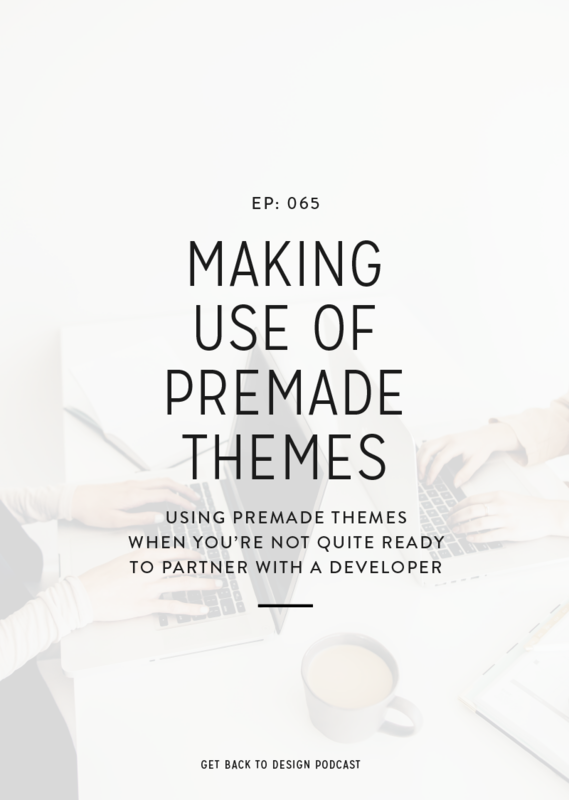 Use this space to curate your projects that are not only your best work and that you’re most confident in, but also that align to more of the type of work that you want to keep doing. Last but not least, you can make sure you’re really attracting the right clients through your blog content. You don’t have to make every single blog post you publish be informative or educational, but 75-80% of it should be because it’s definitely going to help you appear more as an expert in your field and attract more of the right clients. A good example would be if you design invitations for weddings, then the kind of content that you’re putting on your website should be for women who are about to get engaged or who just got engaged and are planning their wedding so that you can get them in with that similar content. Once you have them on your website, you can include a link to your Services page and explain how you can help them with their new design needs. Once you know who you’re attracting and you know that your website and your social media everything aligns, you do want to make sure that you’re putting in the time to actually get your name out there. If you are not looking to work with other business owners, then being in Facebook groups or going to conferences with only other business owners attending or hanging out there – that means you are investing a lot of time to network with the wrong people. 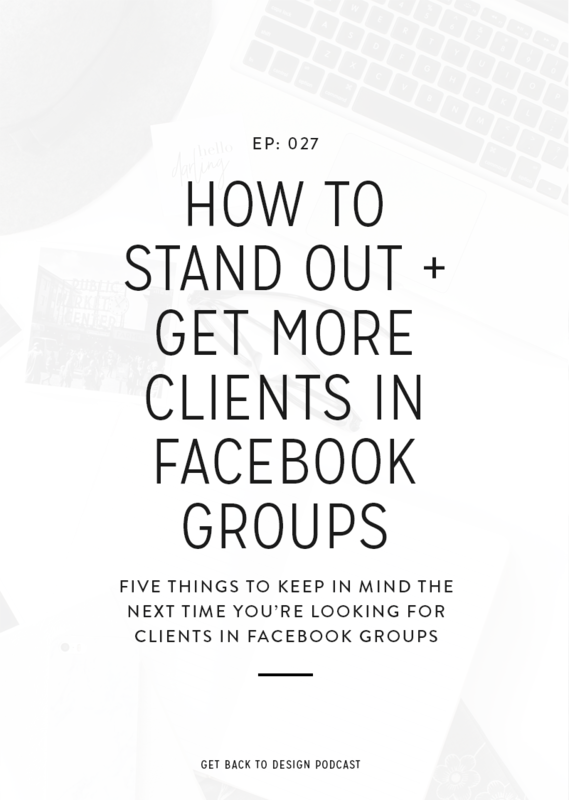 Instead, you want to focus on getting your name out there with the people who would actually hire you or at least be able to refer their clients to you. You can do this in a few ways. To start, obviously you can work on finding Facebook groups that your target market hangs out in. However, you can also search for online or in-person events that they would be attending. Regardless of where you’re networking, be sure to be helpful in general when you can instead of only trying to promote yourself. Ask yourself who you really want to be working with. If you have an exercise that you walk your clients through to help determine their target market, try going through it yourself. Once you know who your target market is, make sure your website reflects that.